23 January 2015 marks the centenary of the birth of the Nobel Prize winning economist, writes LSE Archivist Sue Donnelly. William Arthur Lewis (1915-1991) – whose appointment in 1938 to a one year teaching contract, later converted to a four year appointment, makes him LSE’s first black academic. Lewis was born in St Lucia and left school at 14 after completing the curriculum, working as a clerk in the civil service. Lewis’s ambition was to be an engineer, but aware that neither the government nor white businesses would employ a black engineer he decided on a career in business and planned to study business administration. In 1932 Lewis won a government scholarship to study in Britain and in 1933 arrived at LSE to study for the B Commerce degree. LSE’S B Commerce degree started in 1919 and students studied economic theory and economic history alongside statistics, accounting, commercial law and elements of geography. The course was taught by LSE luminaries such as Lionel Robbins, Friedrich Hayek, John Hicks and Arnold Plant who was Professor of Commerce. 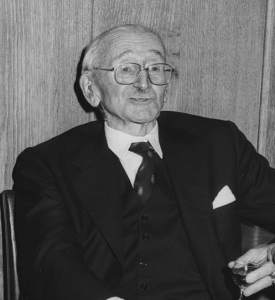 Plant, who had taught in South Africa, was interested in the economic impact of racial discrimination particularly on the labour market, and was supportive of Lewis throughout his time at LSE. In his Nobel Prize biography Lewis called his studies at LSE “marvellous intellectual feasts”. In 1938 Lewis obtained at first class degree and obtained a scholarship to begin a PhD. 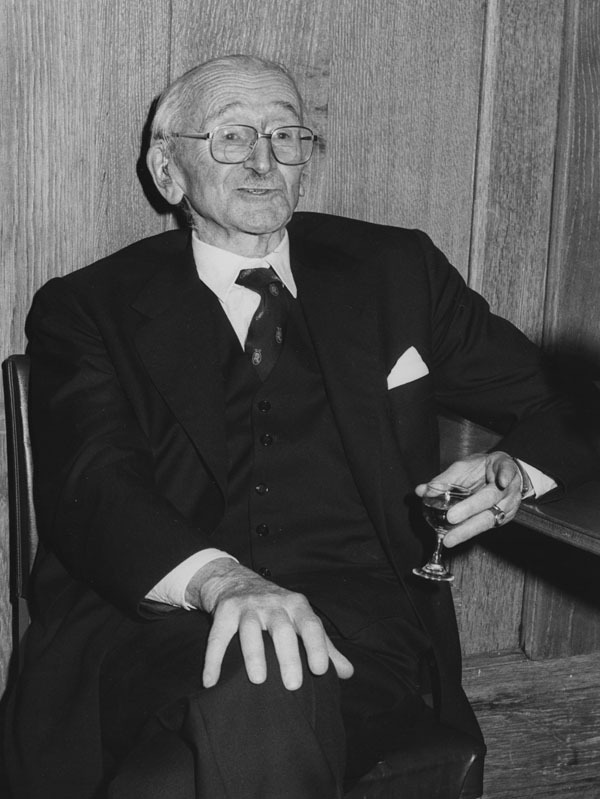 His thesis The Economics of Loyalty Contracts was completed in 1940. Although academic life was successful Lewis later recalled that he was “subjected to all the usual disabilities – refusal of accommodation, denial of jobs for which he had been recommended, generalised discourtesy and the rest”. In 1937, despite his first class degree, he was rejected by the Colonial Services for a post as an administrator in Port of Spain, Trinidad. Ironically by 1941 he was undertaking research for the Colonial Office. This did not prevent Hayek describing Lewis as one “one of our best teachers”. During LSE’s evacuation to Cambridge during the Second World War as one of the few teachers not called up for civil or war service, Lewis undertook a heavy burden of teaching – particularly as his classes contained both LSE and Cambridge students. The 1942-1943 LSE Calendar records that Lewis was teaching transport economics, and business economics alongside an elements of economics course which included money, banking and international trade. In 1944 colonial economics was added to the list and in 1947 Lewis was appointed Reader in Colonial Economics. Alongside this heavy teaching load Lewis was also working for the Colonial Office after being recommended by LSE as “the most suitable member of staff” to undertake a report on the financing of mining and industrial development in the colonies. Some Aspects of the Flow of Capital into the British Colonies was published in 1942 and was followed by further reports and Lewis’ appointment as secretary to the newly formed Colonial Economic Advisory Committee (CEAC). Lewis’ desire to set economic research in the context of the wider needs of Britain’s colonies often conflicted with the Colonial Office’s narrow technocratic agenda and Lewis’s 1944 resignation letter described his time as secretary as “largely a waste of time” – but it helped in defining his views on development economics. In 1948 Lewis joined Manchester University as a full professor, leaving in 1957 to advise the government of newly independent Ghana. He was Principal of University College of the West Indies becoming the first Vice Chancellor of the University of the West Indies. He was knighted in 1963 and from 1963-1983 held a professorship at Princeton University. He also headed up the Caribbean Development Bank. 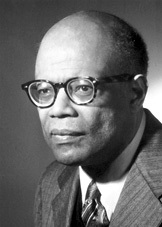 In 1979 Sir Arthur Lewis was awarded the Nobel Prize for economics for “pioneering research into economic development research with particular consideration of the problems of developing countries”. He died in Bridgetown, Barbados, in 1991. Watch: Sue Donnelly and Stuart Corbridge on Arthur Lewis. See the Arthur Lewis exhibition. As an alumna of LSE and being from the Caribbean, I am very proud of the contribution that LSE has made to the region through its students/graduates who go on to contribute in significant ways to their Island homes and beyond. Sir Arthur Lewis is perhaps one of the best examples of this! The LSE’s first black academic out of how many? I’d be interested to know how many more there have been in the 77 years since Arthur Lewis’ appointment. An empowering story from a global thinker above all.